"This is Gabby, Rod's alter ego, speaking. I wanted to write the whole book, but Rod wouldn't let me. There have been many (at least two) requests for this book. 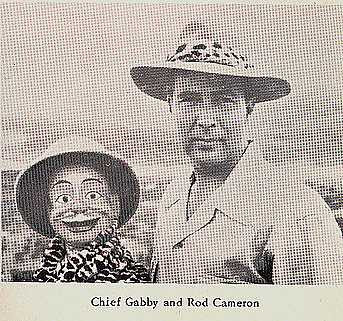 It deals with Rod's early life (no requests for that), with my own beginnings (the best part of the book), and most of all, the missionary work of the Camerons with the Batonga tribe of the wild Zambezi Valley - the most primitive tribe in Central Africa" (From the Introduction, 1962). Ed Sullivan: Tonight, ladies and gentlemen, right here on our stage, we have a really big show for you, a really big show. 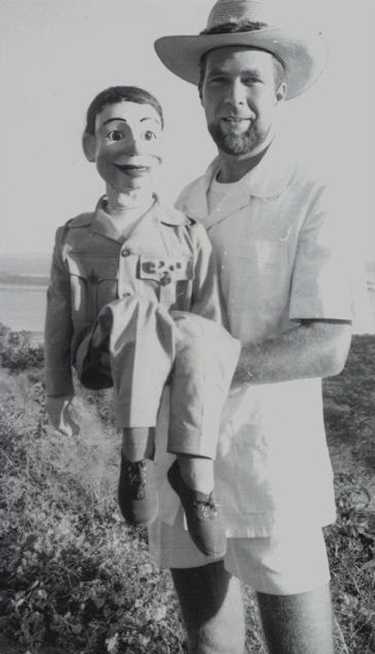 Just back from an extended 5 to 10 year engagement at San Quentin after slaying the audience in Las Vegas, the mouse with the most, Topo Gigio; hapless infant angst in a soiled diaper featuring their new baby, Ben, let's hear it for Stiller & Meara; the astonishing hand shadow-puppets of Australia's only Unusualist, Raymond Crowe; Señor Wences; performing the death aria from La Lollipalooza by Porcini, She Wore An Itsy-Bitsy Teeny-Weeny Yellow Polka Dot Bikini, internationally acclaimed opera star, soprano Joan Sutherland ; and just out of Africa after six socko weeks in the Safari Room at the Zambezi Mirage where they converted the native Batongas to Christianity and belief in a talking piece of wood, ventriloquist Rod Cameron & Gabby. 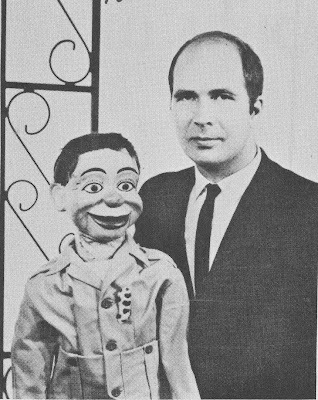 An account of a missionary who traveled to Africa with his family and ventriloquist dummy, A Dummy Goes To Africa is the tale of two dummies, one the oaken alter ego of the missionary, the other the missionary who confesses to being a dummy, too - simply a mouthpiece of the Lord, His hand within him. 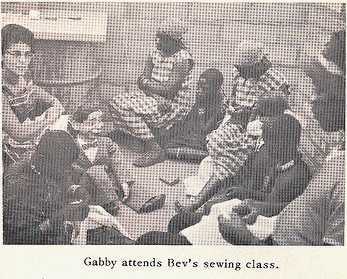 Note Gabby's assimilation into African culture: septum spike piercing. Gabby in Pee Wee Herman drag. Don't let Gabby fool you. Inside the hard wood lies a cellulose heart as big as Mt. Kilimanjaro and an evangelical spirit as broad as the savannah. He writes inspirational poetry and camp songs. and splinters in my head. Or I'd otherwise be dead. to where I get my life. you'll avoid a lot of strife. without the help of Rod. you must do the will of God. This is actually a very rare book. OCLC records only ten copies, each in Christian institutions. There is only one copy currently in the marketplace. Cameron & Gabby additionally authored A Dummy Goes To Church Camp. 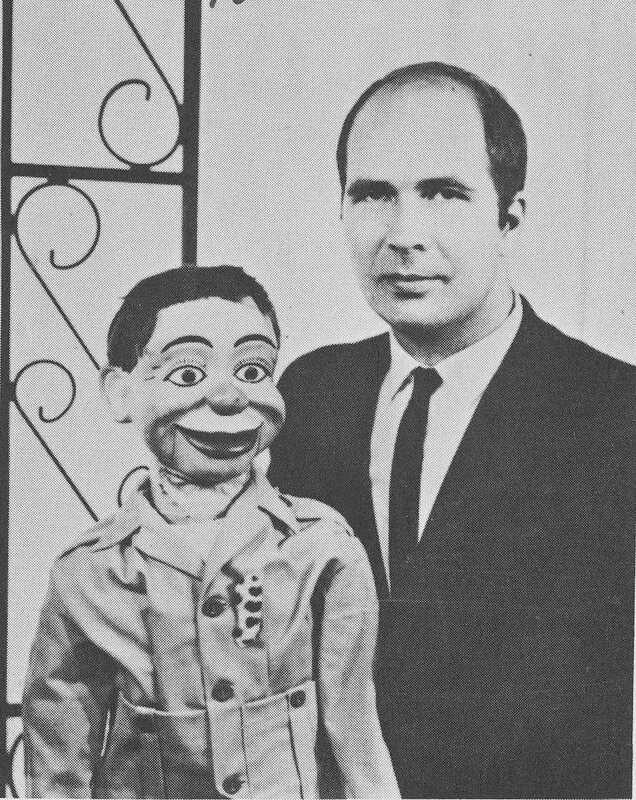 They also produced A Dummy With An Attitude, an audio tape. No matter how closely you listen you can't see Rod's lips move. CAMERON, Rod. 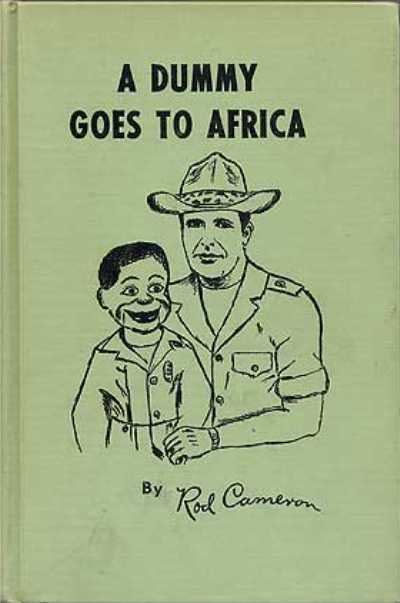 A Dummy Goes To Africa. Joliet, Illinois: Mission Services Press, 1962. First edition. Octavo. 297 pp. Black & white photo-illustrations throughout. Green cloth, black lettered. Presumed issued without a dust jacket. Images courtesy of Between The Covers, currently offering this volume, with our thanks. If I Only Had A Brain adaptation ©Rod Cameron.